– The effects algorithms are more efficient and takes up less CPU. – When activating preset, the window now closes automatically. 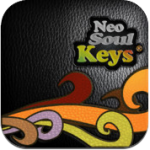 With the incredible success of our computer based versions of Neo-Soul Keys®, we felt it an obvious decision to bring our incredible electric piano libraries to the iOS. Despite the eagerness, we did not want to produce a sub-par app just for sake of making an electric piano library, so we worked directly with Apple’s engineers to bring to you, for the first time ever: SAMPLE STREAMING USING APPLE LOSSLESS CAF FORMAT. 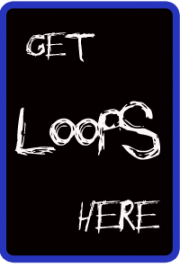 No other app that we know of offers real-time zone switching sample streaming with lossless compression. Many other sample library apps offer the samples to be loaded into memory, which obviously severely cripples the detail and amount of samples you are able to use. With sample streaming, we are able to use the same high quality sampling techniques, zone switching, and velocity layering, without sacrificing the quality similar to a desktop sample library. So what we did was load all of the electric piano effects samples in system memory, and dedicated the most important sustain samples to stream from the internal flash RAM. The results make for a high quality, low latency, and professional grade electric piano sound module that you can take with you and play live! You see, many sound designers are trained in a certain way of sampling, by making things so tidy and neat. Every sample is perfectly cut, trimmed, and cross-faded to perfection. Unfortunately, this is not real life and it definitely is not what a real electromechanical instrument is suppose to sound like. It is in those uneven notes, blanks, quarks, splats, clanks, and mechanical nuances that really make you fell like you are playing a real living and breathing organic instrument. This is what we intended with Neo-Soul Keys® – a real world feeling and experience of playing a real electromechanical instrument. You even hear the pedal noises when the sustain pedal is being pressed and released. THAT IS HOW MUCH DETAIL WE PUT INTO OUR INSTRUMENTS! As a result, our Neo-Soul Keys® has been featured and licensed by none other than Steinberg®, who are the the inventors and creators of VST technology. Will work for the iPad 2, 3 and Mini, but polyphony and CPU may be limited. The iPad 4 and higher are recommended.